If the weather remains favorable and everything goes according to plan on August 11th, NASA is sending a spacecraft to the sun. The Parker Solar Probe will go closer to the massive ball of gas and plasma keeping our solar system together than any other spacecraft has gone before. It will brave extreme temperatures reaching up to 2,500 degrees Fahrenheit to collect data and images of the sun’s atmosphere called “corona.” The spacecraft will also reach speeds up to 430,000 mph, making it the fastest-ever human-made object. That’s nowhere near fast enough to reach Alpha Centauri within our lifetime — it has to travel around 7,000 years to reach the star closest to our sun — but fast enough to get from Philadelphia to DC in a second. NASA plans to use the data it beams back to figure out how we can better prepare for solar winds, which are streams of charged particles emitted by the corona. Particularly strong winds could change satellites’ orbits, interfere with their instruments and even affect power grids here on Earth. If we want to head deeper into space in the future, we must first study how solar winds can affect our vehicles. Besides, we need to take a closer look at the star nearest to us if we want to learn more about the other stars in the universe. Finally, studying the sun could shed light on the origin of life on Earth, since it’s our source of light and heat. 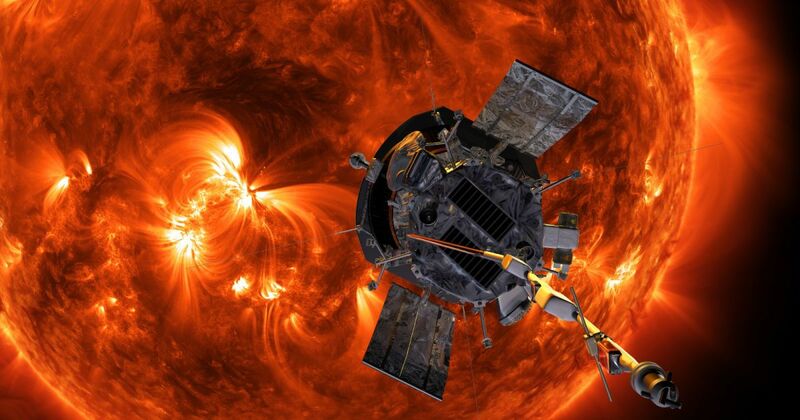 Before the Parker Solar Probe can soar as close as 3.83 million miles above the sun’s surface, though, it first has to spend seven years encircling the sun again and again. It will use Venus’ gravity to fly closer to the sun each orbit while picking up speed in the process. By the time it reaches its final orbits, it will be zooming around the sun at 430,000 mph.